I’ve been putting off writing this post for some time, but last week a grotesque piece of political performance art jolted me into putting fingers to keyboard: Hillary Clinton declared herself part of the “resistance,” and announced that she was creating a PAC (!) to fund “resistance” groups she approves of (and that, presumably, approve of her). She voted in favor of Bush’s catastrophic invasion of Iraq. She was the architect of the disastrous intervention in Libya (with no plan about what would follow Qaddafi’s overthrow). 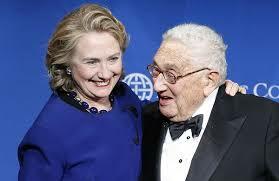 During the presidential debates, she even bragged about being friends with mass murderer Henry Kissinger. 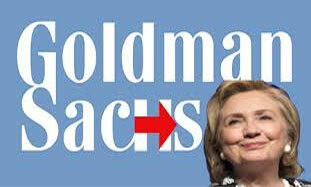 And she takes money — lots of it — from the banks and corporations, including “pay” for three speeches to Goldman Sachs between 2013 and 2015 at $225,000 each, and another eight speeches to banks in the same period garnering her another $1.8 million. And like those of her husband, her campaigns (and PACs and SuperPACs supporting her) have been funded predominantly by the corporations, banks, and those who own them. 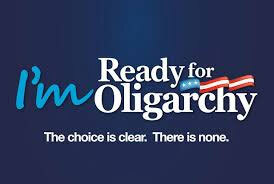 One strongly suspects that the ultra-rich who fund Clinton aren’t doing so out of the goodness of their hearts. It would be exceedingly difficult if not impossible to prove that her (and her husband’s) positions are payback for that funding, but consider this: During her career in politics, she, like her husband, never even proposed any measures that would threaten her backers financially. To cite the most prominent example of that, she has consistently opposed a “Medicare for all” single-payer system (supported by approximately 60% of the public), and instead has opted for plans which leave our healthcare in the hands of the big pharma and insurance industry vampires, whose goal is to deliver the minimum amount of healthcare for the maximum amount of dollars. Which brings us to her predecessor. Barack Obama ran on a platform of “hope and change.” And then he systematically betrayed those who voted for him. He continued, and in some ways intensified (drone assassinations of U.S. citizens), George W. Bush’s disastrous, interventionist, neo-con foreign policy. He kept the wars going, and kept up American support for authoritarian Islamist (Saudi Arabia, Bahrain, Turkey) and military (Egypt) regimes. He also promised the most open administration in history, and then delivered the most secretive, with mass surveillance of all of us, and the persecution of whistle blowers — at the same time that he completely let the banking criminals responsible for the financial crash completely off the hook. Domestically, he proposed a stimulus big enough to keep the economy from collapsing (thus saving the banks) during the recession, but nowhere near big enough to put the 8.7 million who lost their jobs back to work. Nor did he do anything to help the 7 million who lost their homes. What did he deliver? A singularly inadequate piece of healthcare legislation that protected big pharma and the insurance industry, and left tens of millions uninsured and tens of millions more underinsured. Obama also delivered, to some extent, on social issues that did not threaten his ultra-rich and corporate backers: gay rights and reproductive rights. Now that he’s left office, he’s been cashing in on his celebrity and connections — including being paid a $400,000 speaking fee by a Wall Street firm — and hanging out with his natural constituency, billionaires (Richard Branson and David Geffen). Which brings us to the present, the “democratic wing of the Democratic Party” is currently trying to wrest control of it from the corporate lackeys personified by Obama and the Clintons (and Diane Feinstein, John Podesta, Chuck Schumer, Donna Brazile, Nancy Pelosi, et al.). The corporatists recently won the first major battle, electing Obama’s Secretary of Labor, Tom Perez, as chairman of the Democratic National Committee over Minnesota congressman Keith Ellison. It’s time for people to wake up and realize that the Democrats (at least the Clintons, Obama, and the rest of the corporatists) are not their friends. Instead, they’re the “good cop” in America’s perennial good-cop / bad-cop political extortion routine. The “good cop” is not your friend.